Shocking research from McAfee Labs highlights the increasing prevalence of IoT malware as the cybersecurity firm detects 480 new threats per minute. Years of putting functionality before security and rushing to market have led to many compromisable devices. By Ryan Daws, 20 December 2018, 0 comments. Categories: IoT, Security. A so-called ‘white hat’ hacker spoke to a man through his Nest camera to warn him of the dangers IoT devices can possess. The man, Andy Gregg – an estate agent in Arizona – was in his garden when he first heard the voice who claimed to be from Canada. In order to alleviate what could be a terrifying situation, the hacker quickly made clear there was no malicious intent. By Ryan Daws, 18 December 2018, 0 comments. Categories: IoT, Security, Smart Homes. SCADA networks in any factory or critical infrastructure application require protection against increasingly sophisticated and well-funded cyber threats. As emerging security standards such as IEC 62443 help marshal the industry’s response, effective protection calls for an end-to-end, lifecycle approach to device security, extending from the underlying hardware to top-level applications and back into the supply chain. By Wesley Skeffington, 14 December 2018, 0 comments. Categories: Enterprise, IIoT, IoT, Security. A report from Redscan has found the NHS desperately needs more in-house cybersecurity expertise to protect against increasing attacks. Potential ways to compromise the NHS systems are increasing as systems become connected for things such as remote health monitoring, accessing records, and even surgery. The vulnerability of the NHS was highlighted last year when a ransomware spread to critical systems and held them hostage. At least 6,900 NHS appointments were cancelled as a result of the attack. By Ryan Daws, 11 December 2018, 0 comments. Categories: Healthcare, IoT, Security. A survey conducted by IT security firm Trend Micro has revealed that 86% of IT and security decision makers around the world believe their organisations need to enhance their awareness of IoT threats. This is due to significant lack of knowledge which accompanies rising threat levels and security challenges related to connected devices that place organisations in a compromising position, the report added. 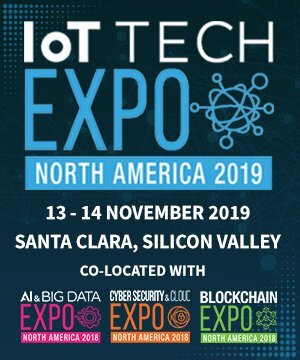 By IoT News, 21 November 2018, 0 comments. Categories: IoT, Security. Mozilla has released the 2018 edition of its 'Privacy Not Included' guide which assesses the security of IoT gifts this festive season. The guide breaks down whether each device is safe and can be trusted, especially when it comes to gifts designed for children. By Ryan Daws, 15 November 2018, 0 comments. Categories: IoT, Security, Smart Homes. We’ve come a long way from the mainframe computing environments of the '50s, and you don’t hear much complaining about it. Renting computing power back in the day required you to physically go to the mainframe — an impractical situation at best. By Brad Thies, 12 November 2018, 0 comments. Categories: IoT, Security. 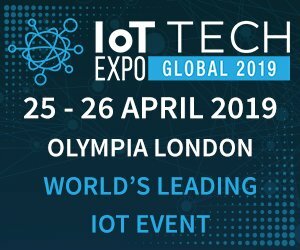 UK-based Crypto Quantique has announced the launch of what is being claimed as the world’s most advanced security product for IoT devices – with a quantum edge. The technology behind this solution includes world's first quantum driven secure chip (QDSC) on silicon which, when combined with cryptographic APIs, provides highly scalable, easy-to-implement and seamless end-to-end security for any connected device. 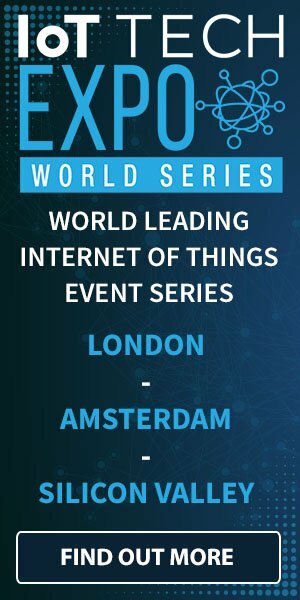 By IoT News, 18 October 2018, 0 comments. Categories: IoT, Security. The race to standardisation in the Internet of Things (IoT), particularly when it comes to security, is a long and knotted one. Getting security baked in at the design stage is increasingly important – and it is with that goal in mind that the UK government has announced a Code of Practice around consumer IoT. By James Bourne, 16 October 2018, 0 comments. Categories: Data & Analytics, IoT, Security, Standards. AT&T and Ericsson are teaming up to provide comprehensive testing for organisations to safeguard connected devices. According to AT&T, only 10% of its surveyed organisations say they are confident about their devices having sufficient security measures in place. The operator has seen an increase in vulnerability scans of IoT devices at the company in the last two years. 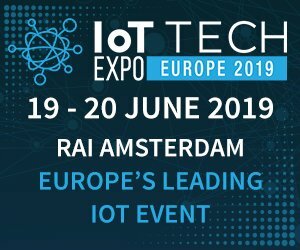 By IoT News, 27 September 2018, 0 comments. Categories: Data & Analytics, Enterprise, IoT, Security.